Mud cleaners are just one of the many solids control and waste management offerings that BRANDT supplies to the oil and gas industry. Quality Management System is ISO 9001-2000 certified. 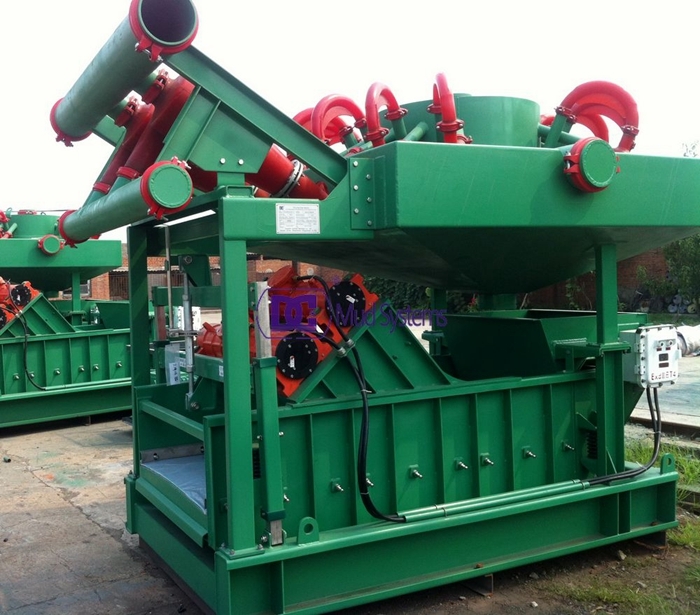 Mud cleaners were first designed to remove fine drilled solids from weighted muds without excessive loss of barite and fluid. Their primary purpose now is to de-sand weighted muds. Due to advancements in fine screening at the flowline, the mud conditioner’s use in the weighted hole section is much more limited than in previous decades. 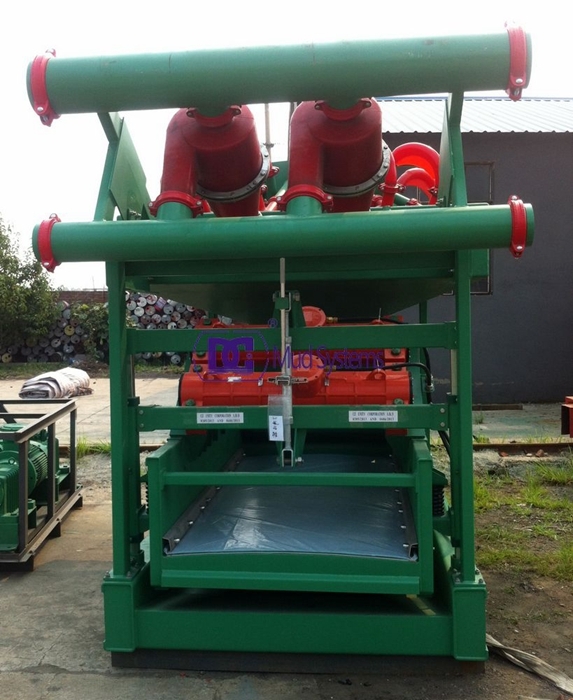 Mud cleaners are the combination of desander, desilter and bottom deck shaker. Typically, multiple desander cones (12 in or 10 in) and desilter cones (4 in) are mounted above the screen deck of a shale shaker. The size of the solids (in microns) removed by these units is directly correlated to the size of the cone. The larger the cone, the larger the size of the particle removed and vice-versa. The mud is fed first through the hydrocyclones, where it subsequently cascades down over the shale shaker. The remaining solids, including barite, are returned to the mud system.